This is a false floor built in a log cabin home to hide ductwork and piping. The manifold and insulated piping Myson Panel Radiator. 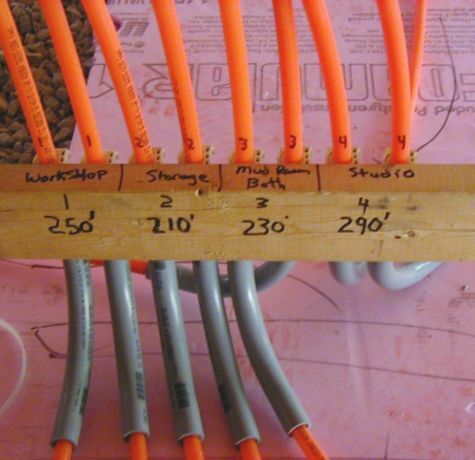 This is a shot of the radiant tubing laid out with the four zones before the concrete was poured. 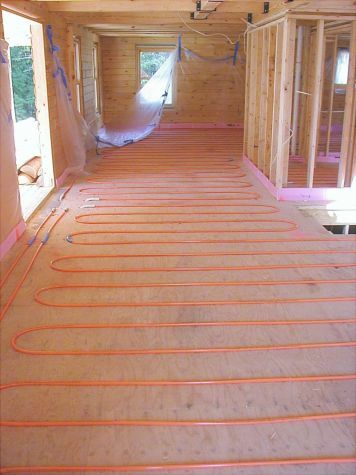 Stadler (Viega) Radiant Tubing laid down for a entry-dining room before a concrete pour. Log Cabin home with radiant heat.